“In the mad rush of life where the mind craves for peace, Corbett's Paradise Resort comes to your rescue with a peaceful and soothing ambience. 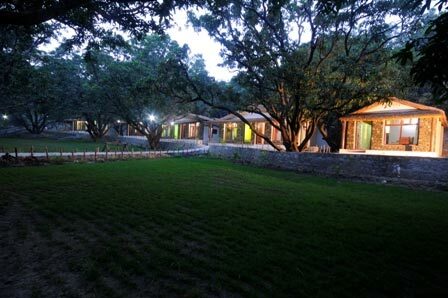 This Resort in Corbett is situated right amidst a Mango Orchard providing a unique opportunity to feel the bliss of Mother Nature, right up-close. Hear the chirping of the birds early in the morning and feel the swaying breeze playing hide and seek between the Mango trees. In winters the Mango trees fill your vision to a verdant green. During summers when the Mango trees are in full bloom you might as well get to hear a bee humming the Nature song. The Mango groves in this Corbett Resort are a true visual delight and add that extra glitter in the robe of Mother Nature. Among the many budget hotels in Corbett, Corbett's Paradise Resort is a standard Resort which aims at providing nothing but the best. 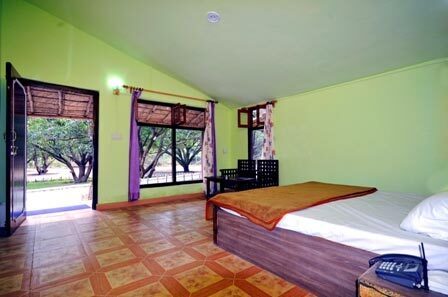 Corbett's Paradise Resort is nestled in the lap of Nature in Dhikuli, Corbett National Park, Distt. Nainital, Uttaranchal. The main entrance of Corbett National Parkat Bijrani is just 7 kms away. 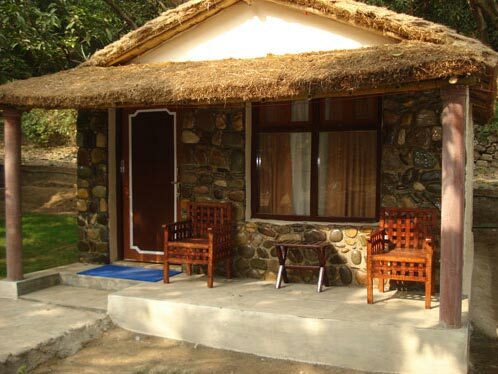 This peaceful Standard Resort in Corbett, the home of the man-eaters of Kumaon; proudly stands in the land of legacy left behind by Jim Corbett. Sprawling over 1.5 acres of land this Standard Resort, located in the Kumaon region is a perfect getaway for Nature and adventure lovers. A holiday in Corbett is full of adventure, wildlife and beautiful sights of Nature. Corbett is one of the best places for a family holiday to keep you amused with the rich biodiversity. Corbett is acclaimed as the land of Roar and trumpet where you get an opportunity to see the majestic Tiger along with an array of wildlife. Corbett brims with a lot of adventurous activities like Elephant Safari, Jeep Safari, Bird watching, Rapelling etc. Corbett National Park is a popular weekend destination and we extend a warm welcome to every Nature lover for a wonderful stay at Corbett’s Paradise Resort. A holiday in Corbett is full of adventure, wildlife and beautiful sights of Nature. 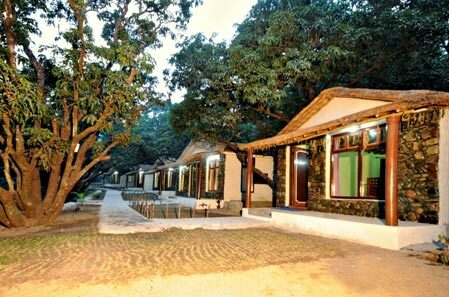 Corbett is one of the best places for a family holiday to keep you amused with the rich biodiversity. Corbett is acclaimed as the land of Roar and trumpet where you get an opportunity to see the majestic Tiger along with an array of wildlife. Corbett brims with a lot of adventurous activities like Elephant Safari, Jeep Safari, Bird watching, Rapelling etc. Corbett National Park is a popular weekend destination and we extend a warm welcome to every Nature lover for a wonderful stay at Corbett’s Paradise Resort. 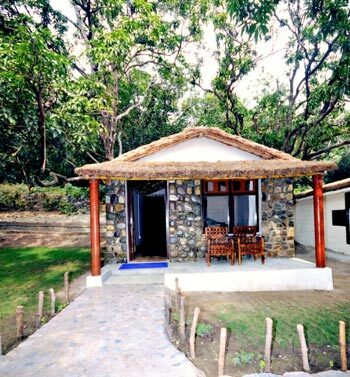 Come to the shelter of Nature in Corbett's Paradise Resort and give us a chance to serve you by all the means we can so that you cherish your date with Nature forever! !